If there’s one thing we’ve learned from movies, it’s not to experiment with death. But that won’t stop one group of young folks from engaging in their fun new pastime of competitive dying. Flatliners, a remake of Joel Schumacher’s 1990 cult film, posits that dying for a couple of minutes gives these kids a new appreciation for the lives they have, until their deaths start to catch up with them. Never play with forces you can’t fully control. 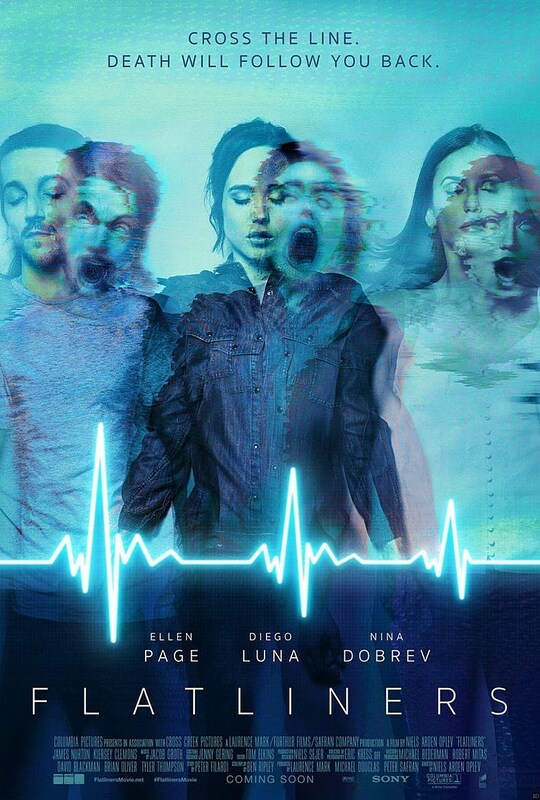 Flatliners focuses on a group of young medical students, led by Ellen Page, who stop their hearts for short periods of time to trigger near-death experiences that they hope will show them what lies beyond this plane of existence. But death is not to be meddled with, and something seems to have been brought back from the netherworld with them to prey on the living. Previous trailers have leaned heavily on the fun stuff, with shots of the characters laughing and smiling as they discover the mysteries of existence, but this one seems all business. TL;DR: don’t stop your heart for fun, or you and your friends will be pursued by extradimensional dead versions of your souls. Flatliners is directed by Niels Arden Oplev (The Girl With the Dragon Tattoo (the other one)), stars Page, Diego Luna, Nina Dobrev, James Norton, and Kiersey Clemons, and opens September 29.